For the last two thousand years people have been anxiously trying to analyze who the Antichrist might be and when he might be revealed. Many people have made preposterous claims, and of course, they have been wrong. If you're not careful, you can get caught up in the debate and spend so much time arguing with other Christians over the details that you don't accomplish anything for the kingdom! To make matters worse, we now live in an era when, for the first time, we have the possibility of an artificial intelligence Antichrist, a human computer hybrid that will demand to be worshipped. Have you ever wondered if it's OK to have Alexa, Siri, and other forms of artificial intelligence in your home? We know that the Bible says great deception is coming, so what is a concerned believer to do? Author and minister Mark Biltz wants you to understand the methods of the Antichrist so you won't be deceived. This book will help you know the big picture of what has happened historically, what is unfolding this very moment, and what the future holds concerning the Antichrist based on the unfolding purposes of God. 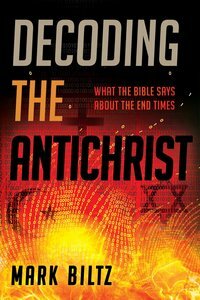 About "Decoding the Antichrist: What the Bible Says About the End Times"
Mark Biltz, founder of El Shaddai Ministries, is a well-known commentator on the feasts of the Lord who has spoken in Sweden, Germany, Switzerland, Canada and throughout the United States. He has been interviewed by FOX television, appeared on the Sid Roth television broadcast as well as on Prophecy in the News, and is the first to discover the blood moon prophecies. Pastor Mark lives in Bonney Lake, WA.